RE•WORK | Blog - Social media management is a drag: can AI take the job off your hands? Social media management is a drag: can AI take the job off your hands? By now, most industries understand the value of social media platforms. Being an influencer in your space and gaining trust from your potential customers equals growth, new business, and increased profits. It’s also widely acknowledged that social media management is time consuming and as a result can often get left behind or be executed poorly. This week at the Deep Learning Summit in London, Antoine Amann from Echobox will explain how he has alleviated this stress for publishers by building a platform that intelligently posts articles on social media. The AI can take over the entire logistics of content distribution by automatically creating and posting material to share on social media. Social media optimisation is a never-ending task and a major distraction for publishers, with frequent and obscure algorithm changes by social platforms requiring a constant adjustment of each publisher’s strategy for an ever-increasing number of social networks. Echobox’s AI has become sophisticated enough to overcome this problem. At Echobox we are building the driverless car for social media management. But why in the publishing sector? 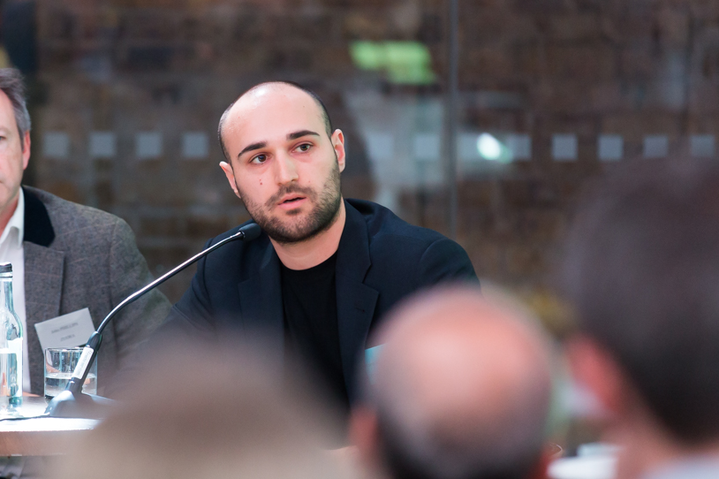 Antoine explained that in his previous role at the Financial Times he was able to see first-hand ‘how publishers are trying to cope with the pressures generated by social media. Firstly, there is too much data and too little useful analysis. All of the available analytics tools required a high level of technical expertise to use, and almost all of them were purely backward-looking.’ He explained how the social media platforms that are most central to traffic generation aren’t overly user-friendly for bulk users - writing and sharing messages is time consuming and often frustrating. Imagine the additional time that could be spent on creativity if you weren’t counting the characters of a tweet for 30 minutes. I have had an interest in coding and computers since I was a teenager, and I was at the time following the rapid advances being made in AI technology. It seemed to me clear that AI was the answer to the problems posed by the data deluge and the time-consuming logistics of manual posting, so I put together a team that combined technical expertise with in-depth knowledge of social media and publishing to build the tool that publishers need. AI is advancing faster than ever, and in five years time Antoine hopes that every social media post will be optimised using the Echobox AI and data - whether it’s publishers, brands, agencies or individuals doing the posting. More generally, they are building an AI that understands all kinds of content.Most recently, the AI has to tell the difference between breaking news, evergreen content and regular articles. With the amount of data that can be drawn on growing exponentially, the capabilities of the AI are only going to keep on growing.